While I can understand that you want to deviate as little as possible from the behavior people are used to, I really liked my empty desktop. Also your comparison to touchscreen handsets is a bit faulty as on mobile devices the desktop icons are mostly used as a shortcut to the start menu. Of course it is only a few mouse clicks to get the old behavior back, but I have not yet figured out how to revert it permanently. Especially when I plug in a projector I do not want to show off my temporary file collection in my home folder. How can I revert my whole system permanently (including hotplugging of a second screen) back to the old behavior? To turn icons off completely: Right-click, Configure Desktop -> Switch "Layout" at the top. 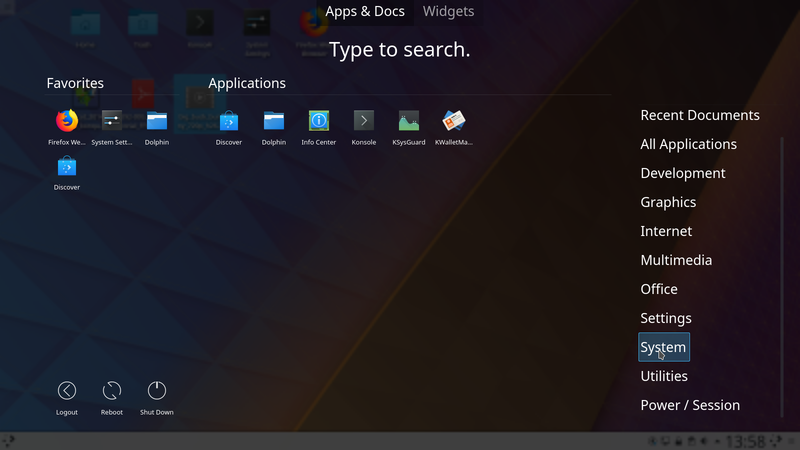 Moving icons across multiple monitors is great, but when is KDE going to be able to span multiple monitors with one wallpaper image? Right now I have to split it into three with Krita and assign each third to a monitor. Just curious, how would this look like with monitors having different resolution and laid out in a strange way (e.g 3 monitors, 2 near each other, one on top of the first)? I see all kind of possibilities here. Also how would it behave if you unplug one monitor? X11 only in maintenance mode? Do you realize that you are going to break "again" the workflow of most of the KDE user? Activities and virtual desktop does not work on wayland. And after years to have to deal with the activities and their drawback I manage to have something working more or less I will have to change again my workflow? Please don't do it until something is ready for wayland. Before breaking the parity with wayland wait until that one is on parity with X11. Your comment doesn't really seem to be about desktop icons, but in reply: First of, keep in mind the only component of Plasma that's in feature-freeze on X11 now is actually KWin, the window manager. The shell (which in Plasma's architecture is a seperate process) is not impacted by this. Secondly, most of even KWin's features are actually in code that doesn't have a dependency on any particular windowing system: Implement them once in the neutral code, and they work both on Wayland and X11. This is still possible now. The feature freeze is for adding X11-only new features, which prevents us from reach parity. Thirdly, we're not dropping X11 support any time soon. Fourth(ly? ), we're not declaring Wayland production-ready until all key workspace features are available. Virtual desktops/activities will be there! I really hope that KDE will continue to provide the level of usability and configuration that it's its characteristic. I tried the plasma-wayland and there are so many things missing (virtual desktop/activities, remote access...) or not working as expected right now (logout without crash...) that I was scared to see this announcement related to X11. First if all, thank you for all your great work! Since you are improving multi monitor support... could you please add sticky cornors, like Microsoft did? On Windows i can fling my mouse to the top right cornor to close a maximized window, and the cursor will be "catched" there (and won't move over to the second screen) . Makes working with a second screen so much easier and comfortable! Pretty much the only thing i miss since switching to Linux / KDE. First of all - BIG FAT THANK you for your qwork on greatest Linux environment (for me). 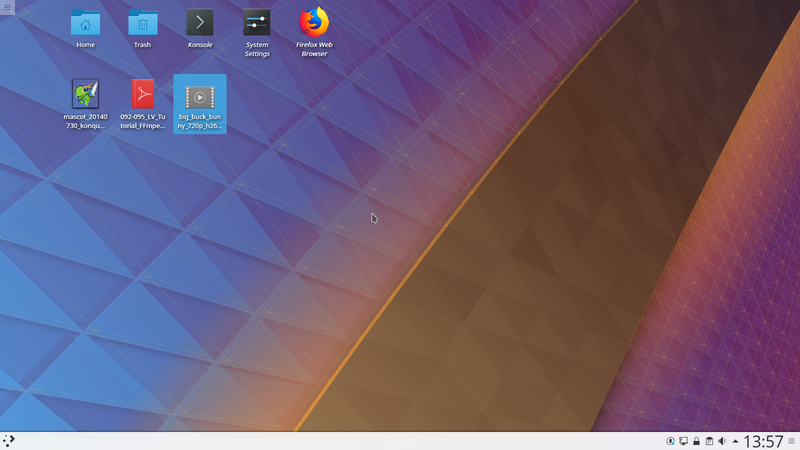 Secondly - I am using Kubuntu (now 18.04) with Plasma 5.12 (freshly installed) and I am used to have all icons on all of my desktops / screens. I am Using four screens / lcd monitors. Now, after update to Plasma 5.12, I have Icons ONLY on my PRIMARY selected screen and onother three screen are without icons. I wanna my icons on all desktops/screens back. It is there any way to do this ? Yes so irritated. apt upgrade... ding ding ding... GONE... blank desktop. They JUST CANT GET IT RIGHT.